Google Yourself! What does your digital footprint say about you? – Ms. Nena B.
I recently read an article called “Be mindful of your digital footprint” by Scott Juba and Davis Young. (I’ll post the link at the bottom) The article highlighted things that I often share with emerging leaders. You can not ignore that fact that you have a digital footprint. There are several things you have to be aware of that shape that footprint. Let me highlight a couple from the article. Before doing anything, ask yourself if you are ok with your family or employer seeing that? The concept of private or anonymous is contently being challenged by every data breach and hacking incident. I don’t want to scare you, just be thoughtful. Be careful what you put in an email. Email is such a commonly used form of communication that people take it for granted. However, remember emails can be forwarded without knowledge of the original sender. Before you hit that send button remember your current and future contact, connections, and/or employers may end up seeing it. When in doubt, have a phone conversation. Humor is in the eye of the beholder. Everyone doesn’t have the same sense of humor. Something funny to you may be offensive to someone else. Before you post or re-post, just consider if a reasonable person to find it funny or not. I recommend erring on the side of caution. Remember every “Like”, “Post”, and “Tweet” is part of your personal brand. If you don’t believe that, just check the news. Everyone won’t agree with your position, however, be true to yourself. Be intentional about what you post to represent what you do and who you are. Make sure anyone posting on your behalf, also if following that rule. Digital footprint, digital branding, personal branding, and online presence are all the same thing. People will determine who you are by what they find online. Don’t leave it to chance. Be intentional. If you need help, as a personal brand specialist, like me. Remember you have a gift to offer, don’t hide it. 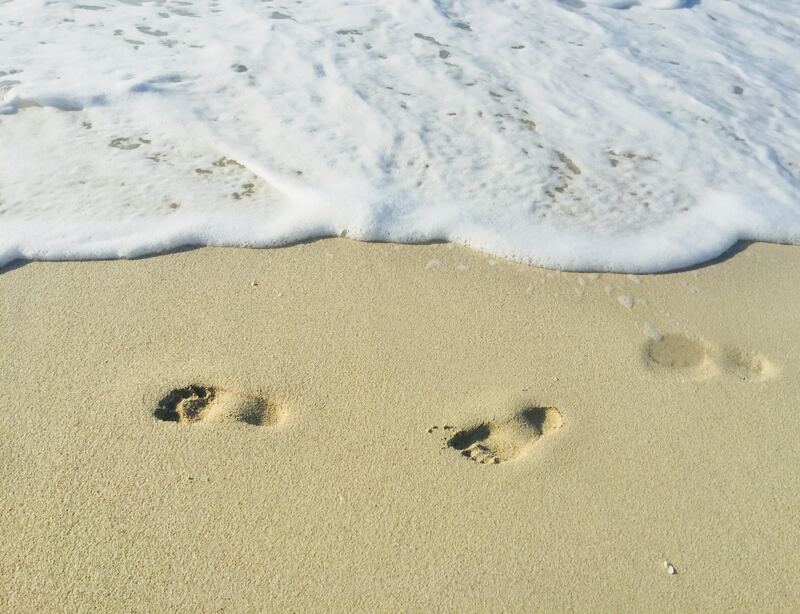 Take a positive step forward in the digital sands.